Liverpool and Music went hand in hand for several decades in the 1900's. But is there still a musical presence in the city? We want to answer that with a documentary exploring the music of today. Liverpool music over time has been well documented. We've all heard about The Beatles. We know about Cilla Black, Echo & The Bunnymen and many of us have taken a 'Ferry Across the Mersey'. But is the Liverpool music scene still around? And is it as prominent as it once was? And are there any similarities between the two era's? We want to find answers to these questions, and offer an insight into the Liverpool music scene of today. Interviews with up-and-coming bands and managers of 'open mic' nights held throughout the city, we'll discover the difference between the music of now and of then, and whether we'll ever see another era when Liverpool is the number one city for music in the UK. Create and complete a documentary on today's art and music scene in Liverpool. Give local talents an outlet to have their say on the Liverpool music scene today. Increase exposure of local artists and build a support network and facilitate future collaborations for it's creatives. There is nowhere near the amount of coverage there could and should be of the current Liverpool music scene considering how much is currently happening and changing everyday. However, a quick internet search will give you as much information as you could ever want on the music of the past. We hope to provide a detailed account of the Liverpool music scene of today and to find out just what this city still has to offer. The documentary is important for this city, as many local bands don't feel that their voice is being heard, and we want to know why. It will also provide an avenue to local musicians and venues to gain more exposure, and will improve on the already strong culture that music of the 60's-80's built here. We can afford the equipment we need! We can get as many people to see this as possible! We can get to where we need to go! We can pay for our locations! We can pay our crew! The Liverpool Arts and Music scene is so vast - and is growing and changing rapidly. We strongly believe that there are many brilliant artists and musicians of Liverpool who are under-represented and under-exposed and that the art and music lovers of Liverpool may be missing key parts of their own city's culture, merely due to not realising it exists. Furthermore, Liverpool is known worldwide for its impact on music during the 20th century and still has a massive amount of tourism to this today. We want to play our part in bringing exposure to the city's current artists and musicians, and to show that the high quality of music, just like those we know and loved from the past, is still around. 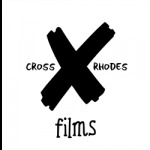 XRhodes Films is an ambitious, new, independent production company with over 30 years combined experience in filmmaking and performing arts. Established in 2017, we aim to forge long-term working relationships with local artists and crew, and dramatically impact the Liverpool scene. Project Delivery Manager: Tom Murphy The Project Delivery Manager takes legal responsibility for receiving and spending the funds raised and ensuring the project is delivered.